Available in birch, fir, walnut, maple, and cherry. One unit is ~30” w x 18” h x 6.5” d. Other sizes and geometries are available. 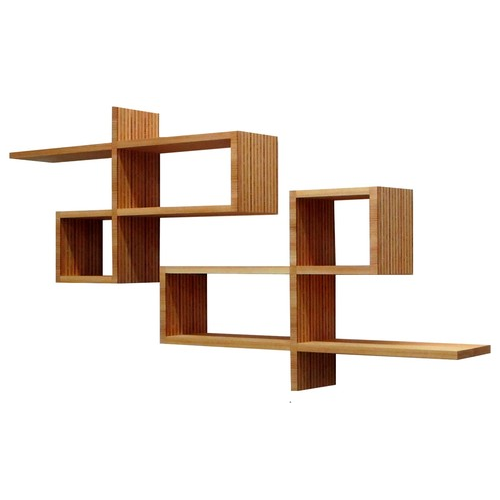 These wall shelves are the perfect fit for small spaces. They will complement any interior and are great for displaying. 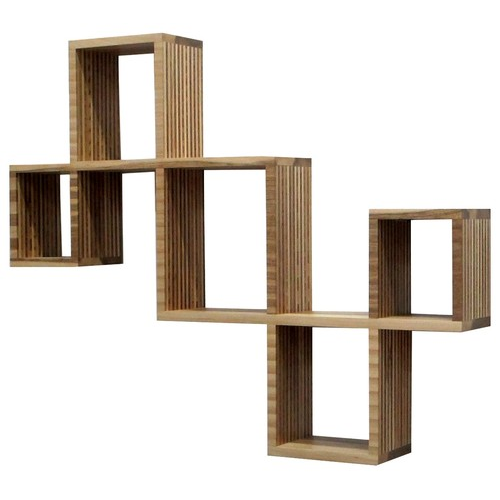 The shelves are hand-made using solid wood and an end-grain laminate on the vertical partitions. The units have hidden wall attachments that can be installed in various orientations.